Who Will Teach My Children? In this episode you’ll learn about the Western Civilization 1 course of the Ron Paul Curriculum. This course is taught by New York Times bestselling author Dr. Thomas Woods. This 10th-grade course follows the history of the Western world, beginning with the Hebrews and continuing through classical Greece and Rome, the rise and spread of Christianity, the role of the Germanic peoples, the cathedrals and universities of the High Middle Ages, and concluding with the Renaissance and the Age of Discovery (up to 1492). So much of what you need to know in order to be an educated person is crammed into this one course. You’ll learn about the great ideas that have been discussed and debated since the beginning of Western thought. Plato, Aristotle, Augustine, and Aquinas will no longer just be names to you. You’ll know about the philosophy, literature, architecture, and art of the ancient world, the Christian Middle Ages, and the Renaissance. And of course we’ll be tracing the history of Western liberty — political and economic — as well. Parents can listen the course lessons from all Dr. Wood’s courses during their commutes or around the house. On each lesson page you’ll find a link to a downloadable audio file. You can click here to learn more about this course and the Ron Paul Curriculum. Thomas E. Woods, Jr., holds a bachelor’s degree in history from Harvard and his masters degrees in history and philosophy and Ph.D. from Columbia University. He has appeared on CNBC, MSNBC, FOX News Channel, FOX Business Network, C-SPAN, and Bloomberg Television and has been a guest on hundreds of radio programs. He is the host of The Tom Woods Show, a weekday podcast you can find at TomWoods.com. Dr. Woods’s 12 books include the New York Times bestsellers The Politically Incorrect Guide to American History and 33 Questions About American History You’re Not Supposed to Ask. His latest book is Real Dissent: A Libertarian Sets Fire to the Index Card of Allowable Opinion. 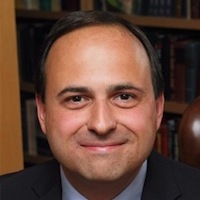 Tom Woods teaches Western Civilization and Government courses for the Ron Paul Curriculum. He lives in Topeka, Kansas, with his wife and five daughters. Subscribe now so you won’t miss a single episode! Click here to subscribe at iTunes. Click here to subscribe at Stitcher. If you have a chance, please leave me an honest rating and review on iTunes by clicking here. It will help the show and its ranking in iTunes immensely. I really appreciate it. Enjoy the show! Are Homeschoolers the Last Radicals? Millennial madness or lifetime gladness? When life gives you weeds, make dandelion salad? Ever get a call from Dr. James Dobson? Can Homeschool Moms stop teaching and children keep learning? © 2019 Richard Emmons and Reality Marketing LLC. All Rights Reserved.